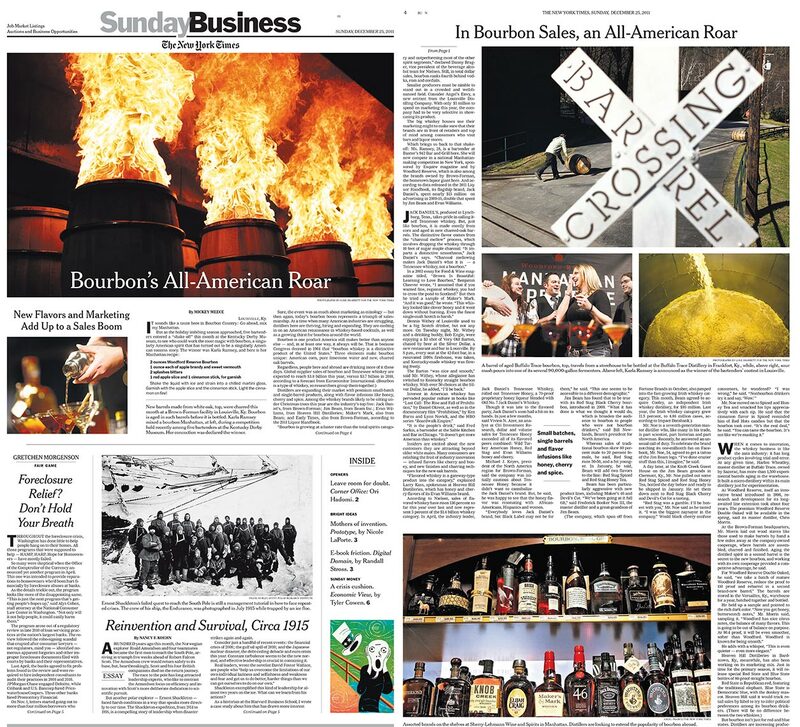 A New York Times Sunday Business cover story on the bourbon boom. At a time when many American industries were struggling, distillers in Kentucky were thriving, hiring and expanding. They were cashing in on an American renaissance in whiskey-based cocktails, as well as a growing thirst for bourbon around the world.